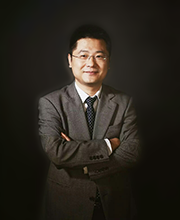 Shuaizhang Feng is currently Yangtz-river special term professor and dean of the Institute for Economic and Social Research at Jinan University, Guangzhou, China. He received his PhD in economics from Cornell University in 2006. His main research areas are labor economics and applied econometrics. His work has been published in top academic journals such as the the American Economic Review, PNAS, and the Review of Economics and Statistics. His recent research topics include the Chinese labor market and children of migrants in China.